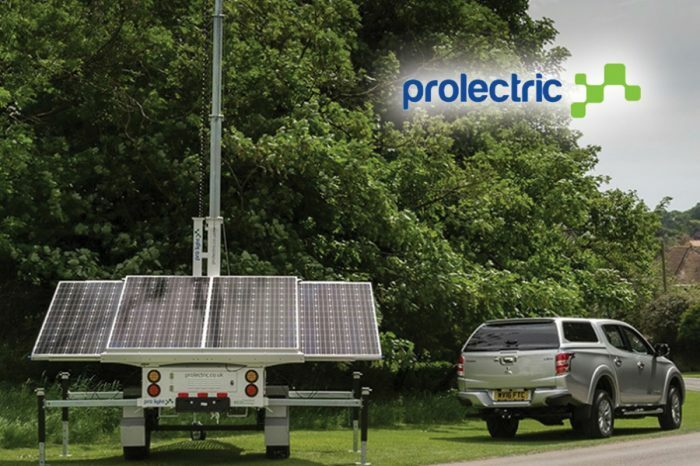 Prolectric, the UK’s fast-growing supplier of temporary solar lighting and off-grid power for highways, rail & infrastructure projects, has acquired the Solatainer® solar generator. The Prolectric acquisition includes all Solatainer assets and intellectual property. 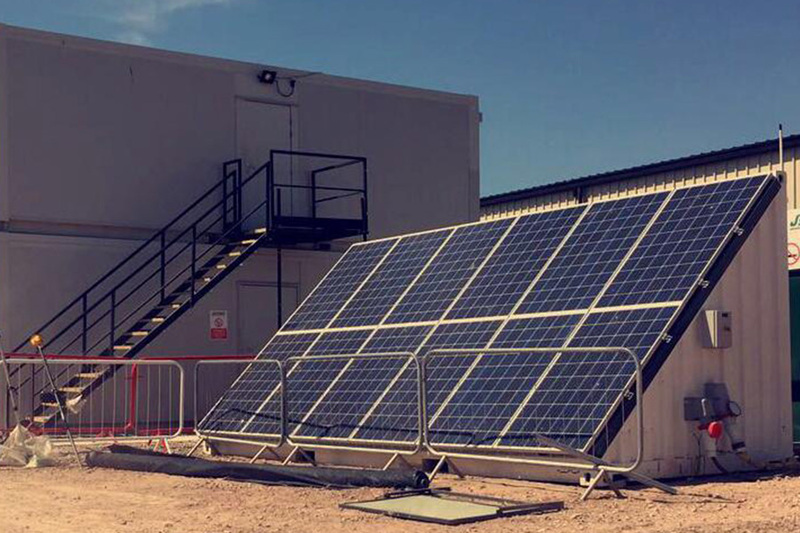 The Solatainer is the UK’s first autonomous solar-powered off-grid generator and has a proven track record in use at more than 50 sites in the rail and construction sectors nationwide. The acquisition, from Gaia Renewables Ltd, makes Prolectric the UK’s first specialist single-source supplier for off-grid renewable light and power. It will make it easier for contractors to use renewable energy on site to reduce their fuel costs, noise, NOx, PM and carbon emissions. “We are delighted to confirm the acquisition, which supports our vision to provide everything our customers need to end their reliance on diesel and operate a “Site of the Future” using renewable power and light,” said Chris Williams, Managing Director of Prolectric Ltd. The Solatainer is immediately available to Prolectric customers. The Solatainer delivers up to 25kW of reliable, on-demand off-grid power. 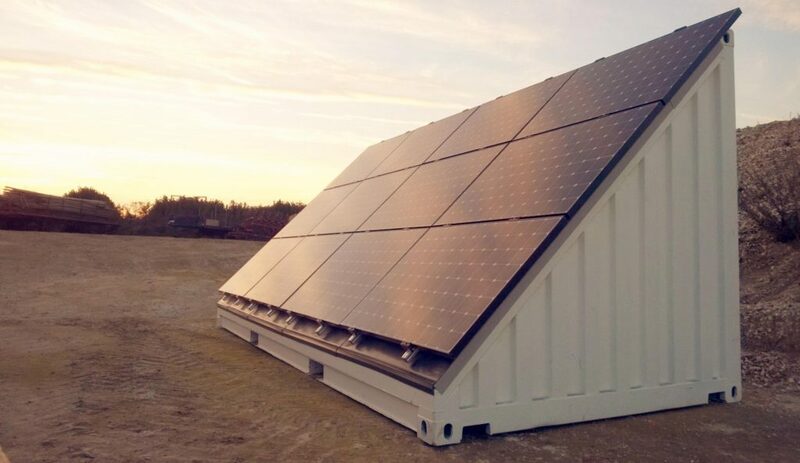 Modelled on a standard 20ft shipping container, the Solatainer’s array of photovoltaic (PV) solar panels charges on-board lithium ion or deep-cycle lead acid battery storage, with a diesel generator providing only occasional back-up power. Fuel usage is reduced by 80% compared to a conventional diesel generator. As part of the agreement, Stuart Thomas and Jamie Morris, who invented and developed the Solatainer, will continue to be responsible for overseeing its manufacture from its production facility near Swansea, South Wales. 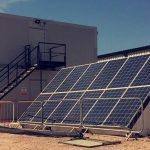 “The Solatainer generator perfectly complements our temporary solar lighting range,” Williams continues. “Both technologies deliver low- or zero-in-use carbon emissions and are usually needed on the same construction and rail welfare compounds. Both also dramatically reduce the noise nuisance of diesel generators close to residential areas, especially during night-time working. The popularity of Prolectric’s temporary lighting range, including the ProLightTM Solar Lighting Tower, ProTempTMSolar Lighting Column and ProTrackTM link lighting system, has powered the company’s rapid expansion during the past two years. 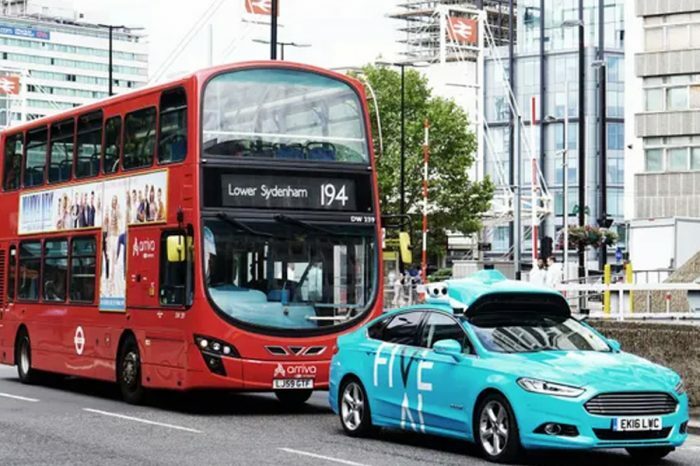 As result, the UK construction industry has already made significant savings in CO2 emissions, manpower and fuel costs, as well as helping to reduce air pollution in urban locations. 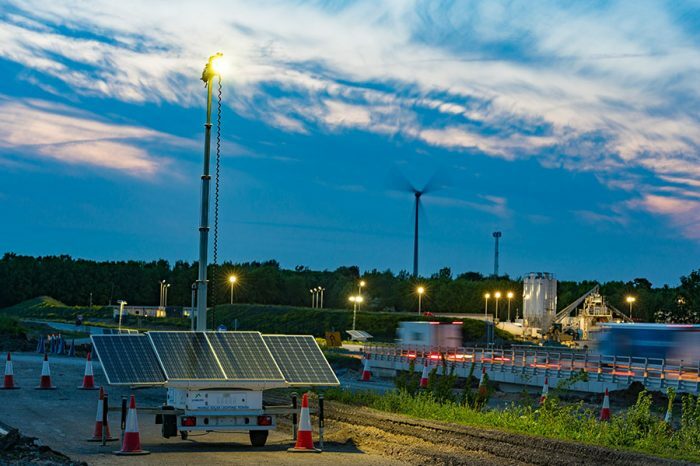 Since its introduction in Spring 2017, Prolectric’s solar lighting has been enthusiastically adopted by major UK main contractors, because it has given the industry the first fully-viable alternative to diesel tower lighting on construction and infrastructure projects. Prolectric trebled sales and production staff to 21 during 2018 and doubled the size of its Somerset factory to 24,000 sq m to be ready for continuing expected demand. For further information contact Prolectric on 01275 400 570 or email info@prolectric.co.uk.